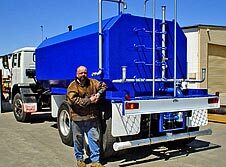 Smart Water Trucks can be custom designed & built to suit any truck. 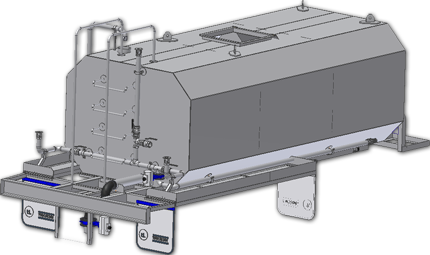 Made from 6mm plate & coated both inside & out, Smart Water Trucks can have a holding capacity from 2,000ltrs to 20,000ltrs . They offer a complete in dash variable control system which controls everything from within the cabin. It features a rear dribble bar and two or three adjustable rear sprayers with the capacity of a 10m spraying distance either way. The water is pumped from a single 4hp Honda engine which is mounted on the side. Smart Water Trucks are certified by SA Water and made to stringent safety standards.